Supermarket shopping, once a mainstay family activity on weekends, shows signs of going out of style. Online shopping, supported by digital payment systems, is the going trend. Songjiang resident Gu Zheng can’t quite remember the last time she pushed a trolley through a local supermarket. Indeed, supermarket shopping, once a mainstay family activity on weekends, shows signs of going out of style. 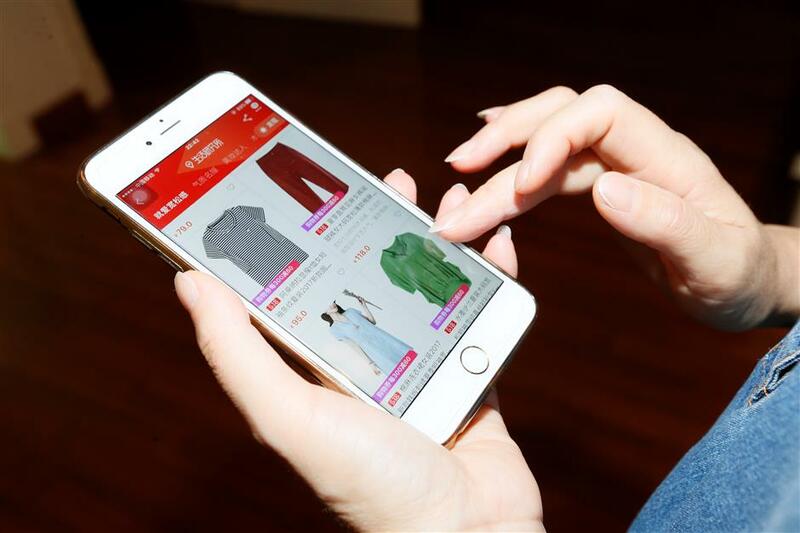 Online shopping, supported by digital payment systems such as Alipay and WeChat, is the going trend. It’s a matter of convenience for many busy city dwellers. More than 400 million Chinese shopped online last year, denting the sales of brick-and-mortar retailers. Online retailing has come of age, offering discounted prices, fingertip payment and fast delivery services. Traditional stores – especially arms of foreign retailers -- are finding it hard to compete. In May, Korean supermarket chain E-Mart announced its withdrawal from the China market. At the same time, France’s Carrefour closed its Xinduhui supermarket complex in Henan Province, and US-based Walmart shut its Shengli Road store in Anhui Province due to poor sales. The most loyal customer base for traditional supermarkets seems to be senior citizens, who aren’t so smitten with the digital age. Early every morning, it’s common to see elderly people lined up in front of supermarkets, eager to get their hands on fresh fruits and vegetables. "Fresh produce is normally delivered to the store in the morning," explained a cashier at a Lotus supermarket in downtown Songjiang. Some young families with children also retain a certain preference for traditional shopping outings. Zhou Changtian, the father of two, told Shanghai Daily that he still goes shopping with the family once a week. Holiday festivals marked by traditional family dinners also seem to remain a big draw card for standing supermarkets. Brick-and-mortar supermarkets may be down but they aren’t out. In Songjiang, many have accepted the challenge and are using innovative ammunition in the battle to survive. RT-Mart on Rongle Road in downtown Songjiang runs 10 free shuttle buses on 14 routes every day to bring in customers, targeting more out-of-the way areas such as hill towns of Xiaokunshan and Sheshan Hill. A costly undertaking, the company is now readjusting schedules to save money while retaining customer convenience. A key element lacking in most traditional supermarkets is home delivery. RT-Mart is already working to redress that gap by collaborating with express websites like Baidu.com and Meituan.com to deliver purchases. The supermarket is also developing its own logistics system, which is now in the trial stage. In addition, RT-Mart it is seeking to develop business-to-business food services with restaurants and canteens. “We have to act to save ourselves in the retail industry,” Lu said. Lotus Supermarket and almost 100 suppliers held a conference in Shanghai recently, with an eye to opening more stores in China by the end of this year. 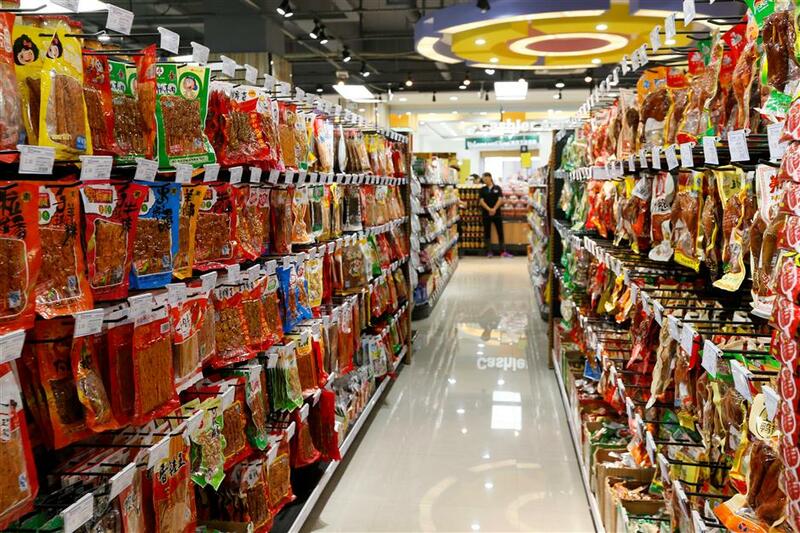 “Supermarkets in China still have great potential in third and fourth-tier cities,” group Vice President Li Ruihan said. Earlier this year Lotus announced plans to open a new supermarket in Lingang New City in the Pudong New Area. It is also planning to focus on cities outside large urban areas, such as Wuxi and Xuzhou in Jiangsu Province. The Internet has dramatically changed how and what people purchase, according to the 2016 Trend Report by Shanghai Business and Commerce. In some areas, online retailers and traditional brick-and-mortar stores are beginning to converge, going from rivals to partners. The 618 midyear shopping carnival on June 18 was a success for online and offline retailers alike. Online sellers included d.com, T-mall, vip.com and yhd.com. Traditional supermarkets were also involved. RT-Mart’s official website feiniu.com offered big discounts during the carnival. Baidu.com offered home-delivery services for Lotus and Songjiang-based 52fmart.com, a fresh fruit and vegetable retailer. At the same time, many Songjiang supermarkets have opened online shops on platforms such as jd.com and ele.me. The Double 11 shopping festival last November marked a successful attempt by traditional retailers to work within the Internet realm. Bailian Group, Shanghai’s largest chain of supermarkets, convenience shops and department stores, said online orders for its Lianhua supermarket arm topped more than 290,000 on the day, with record sales of 23 million yuan (US$3.4 million). The Double 12 shopping carnival one month later attracted the participation of more than one million brick-and-mortar retailers from around the world. About 100 million people from 360 cities contributed to sales of 12.8 billion yuan. “Supermarkets need to first ask themselves, “To whom do we want to sell products?” said Chen Xinkang, a teacher in finance and economics at Shanghai University. He said the target customers of supermarkets may be somewhat different from those who patronize convenience shops and department stores. He predicted that digital shopping will never gain enough momentum to eliminate all traditional supermarkets. “Shopping by mail didn’t defeat brick-and-mortar stores, and online purchase won’t either,” Chen added. What supermarkets need to do to attract and keep customers is make the shopping experience something special and rewarding. Store interiors and promotions need to be tailored in a way that makes people want to be there. Other amenities such as free parking, are also important, Chen said. A hypermarket in Songjiang is empty with customers.